March has come and gone and our 2019 season is now in full swing! So much happened in March that it is hard to keep track of. Most notable was our prize giving for the 2018 season. This was an amazing evening where we got to celebrate our club members and the achievements of the past year. I think we say this every time we get together that we don’t do it enough. If you haven’t heard, Flippa Ball is back out West with our league at Te Atatu Peninsula Primary School. It’s been great to see us bring this back to the West and help kids build water confidence while starting to learn the basics of water polo. The team has been working hard to deliver an amazing programme which ends for Term 1 very shortly. Our Senior teams have been competing in the Auckland Water Polo League over the past month, this year they made some changes which has meant that these games have been played mid-week. Both our teams have done very well and will play off for bronze this Saturday. Over the past week, 8 of our members (Chantelle Conroy, Emmerson Houghton, Grace Tobin, Gabby MacDonald, Sid Dymond, Anton Sundě, Nick Stankovich and Sean Newcombe) were over in Perth representing New Zealand, along with Davor. From the games that we saw our members were the standouts. Well done to all 8 of you for being selected. April is shaping up to be a very busy month and I look forward to seeing you round pool side. NZ Reps Shine in Perth! Over the past week, eight of our Waitakere Senior players have been in Perth, Australia, to compete in the FINA World Water Polo League Intercontinental Cup. Chantelle, Emmerson, Grace, Gabby, Anton, Sean, Sid, Nick and Davor have been working incredibly hard in the lead up to this event and this was certainly noticeable, with each of them making significant contributions to their respective teams. Both sides finished in 7th place with wins over South Africa and narrow losses to Kazakstan. Well done to Emmerson Houghton and Sean Newcombe who were named as players of the match in each of their final games. In many of the Kiwi’s games it was our Waitak players dominating the scoreline – most notably when the Women took on Kazakstan, with 9 of 12 goals coming from Blue Diamonds! World League is just the first step in the National Teams program for 2019, which culminates with the FINA Water Polo World Champions in June for both Men and Women, held in Gwangju, South Korea. Well done to all of the selected players – we look forward to seeing you play back at home in the 2019 Honda National Water Polo League! Congratulations are in order for our Under 14 Boys team who won New Zealand Water Polo’s fair play award for the 2018 season. Well done also to Lisa, Sid and Daniel who were nominated for awards! The final games for our band new Te Atatu Peninsula Flippa Ball League will be played this weekend! Head along to the Peninsula Primary School on Sunday from 3PM to watch some great games and experience the fun! The date for the 35th Annual General Meeting of the Waitakere Water Polo Club has been set for the 27th of April at 4:30PM. Come along to West Wave to attend the meeting and stick around to watch our Senior teams play their first games of the 2019 Honda National Water Polo League! The Waitakere Water Polo committee is excited to announce that following much background work, we are now officially registered as a New Zealand charity. This recognises our ongoing commitment to strong governance, and will have practical impacts on our revenue streams. We are excited to be running another training camp for Under 12 and 14 players in the first week of the April school holidays. Players from any school or club are welcome to attend – get in quick! 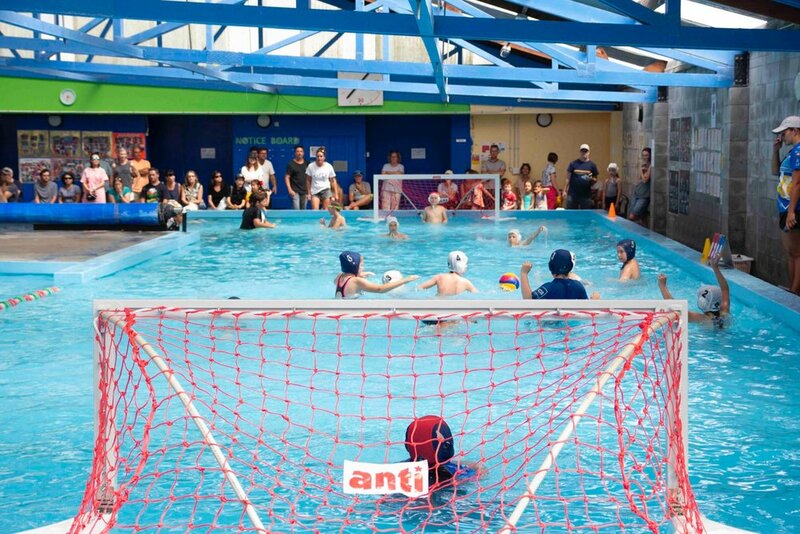 The 35th AGM of Waitakere Water Polo is coming up on Saturday the 27th of April. All 12 positions on the committee will be up for re-election, including the six Officers of the Club. If you’d like to contribute to Waitakere Water Polo’s development in the next 12 months, come along to the meeting, or flick Matt an email to find out more.